While we’re on the topic of printers. Here is how to set the default printer with GPO. But, remember you must have your Computer accounts and/or user accounts broken out with OU’s! Again, we IT staff are always guilty until proven innocent (my most famous quote from my previous CIO, who I dubbed, “The Godfather”. I needed to enable print job auditing on our Print Server. These steps were gathered between two Microsoft pages & posts. You can do this without making any changes to Group Policy. 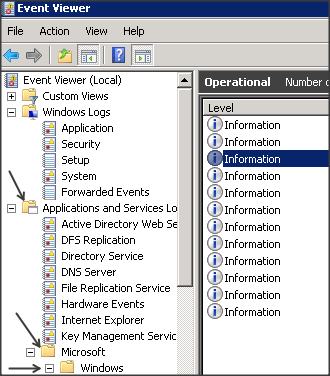 Drill down through Application and Services Log -> Microsoft -> Windows -> Print Service. Right click on Operation and click Properties. 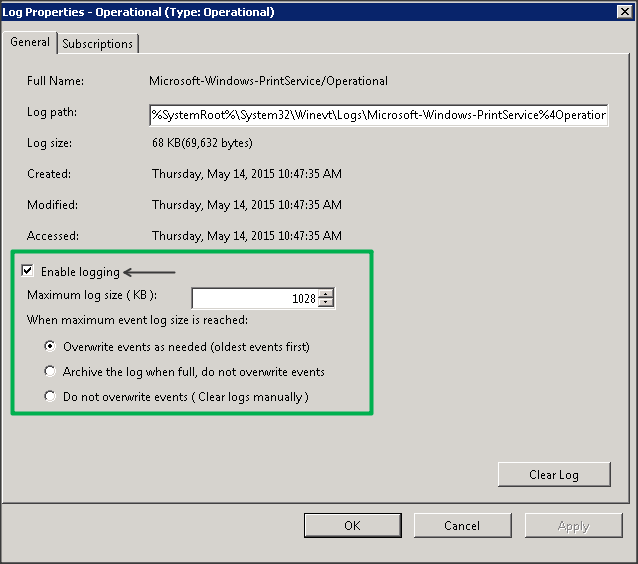 Check the box for Enable Logging. I left everything else as is. 1MB of Audit Trails should be enough for my needs. If you need a longer trail then increase that to your liking. Once this is enabled, you will start to see your audits showing up like the one below. It will have what was printed, who printed it (“Owned by”), the Workstation that printed it (RMH-006) in this example, and to what printer queue, in this case Printer 11 and the printer’s IP address, and size and number of pages. Hopefully this will help you track down when someone says “I didn’t print this.” to find out who did and when.